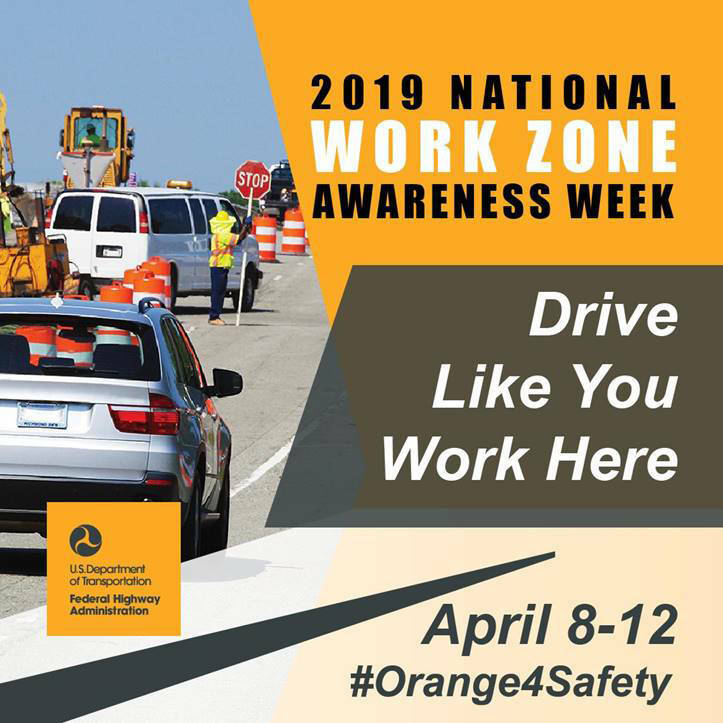 As part of Nevada Department of Transportation’s observance of National Work Zone Awareness Week, which continues through Friday, April 12, drivers are being encouraged to be more cautious on roadways where there is construction. The Nevada Department of Transportation is celebrating National Work Zone Awareness Week this week. “Drive Like You Work Here” is theme of the 20-year-old event sponsored by the Federal Highway Administration. NDOT oversees 763 miles of freeways and roads in Clark County, with more than 18.3 million vehicle miles traveled last year in Southern Nevada. There were 1,179 crashes and 12 work-zone fatalities statewide from July 1, 2017, to July 1, 2018. Two dozen NDOT employees have been killed in the line of duty since 1948. Ron Raiche Jr. was the most recent worker who died in the line of duty when on March 30, 2015, while repairing roadway cracking on Interstate 80 near Battle Mountain, he was struck and killed by an inattentive driver. Work zones are needed to maintain and improve the community’s roadway network. Cones, signs and other work-zone directions help protect the lives of highway workers while delivering motorists safely to their destination. As such, it’s important to slow down through work zones, pay full attention, minimize distractions including cellphone use, and make any necessary merges in advance. It’s also a good practice to keep a safe distance from nearby vehicles, traffic barriers, construction equipment and workers whenever possible, Illia said. Motorists face double penalties for speeding through work zones. Nevada Revised Statute doubles the penalty for speeding, up to $1,000, in any marked road construction or maintenance work zone when workers are present. Nevada Highway Patrol troopers spent 12,000 man-hours patrolling and enforcing work zones statewide in 2017. For more information about national work zone awareness, visit the website at: www.nwzaw.org.